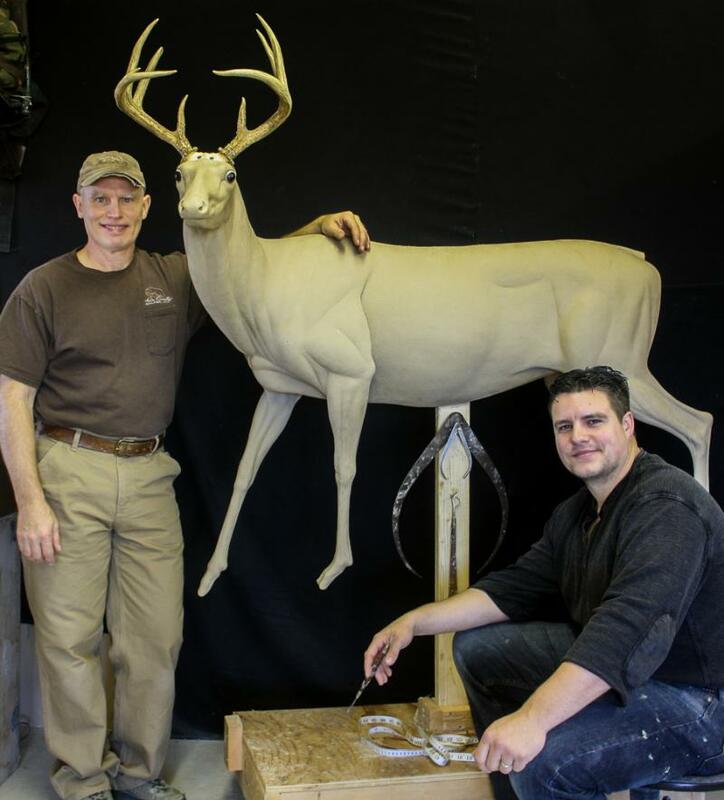 I learned the fundamentals of sculpting from personally working with Forest Hart at his studio in Maine. It was a turning point in my career, to spur me on to becoming the artist and sculptor that I am today. It pointed me in a direction that helps taxidermists today re-create Big Game animals in a manner worthy of the beauty and grace that they demonstrate in life. Now it is my turn to offer my expertise in the form of specialty training and classes. I hope to teach the importance of understanding the skeleton and muscle groups, because I believe with that understanding, one can then easily, and confidently begin to alter existing mannikins and work to create "custom" poses, which will set your work apart from your competition. 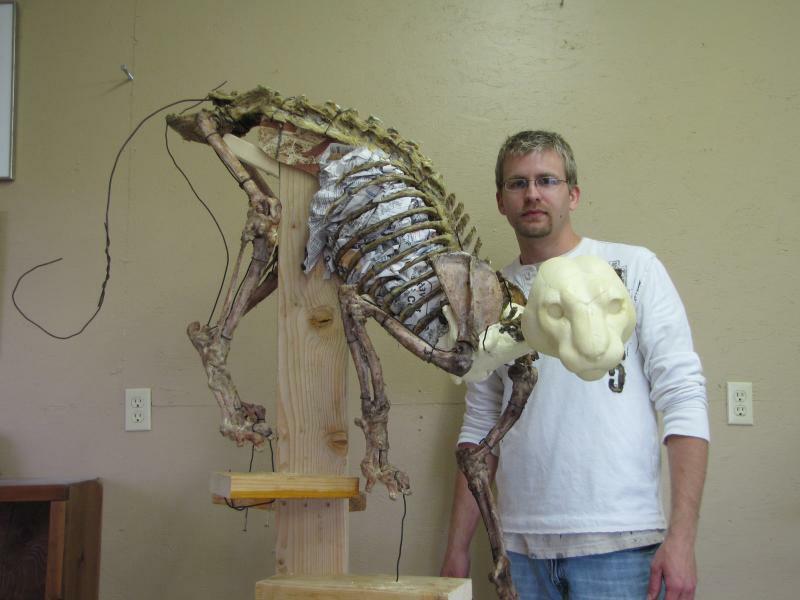 Through my training, you will also gain the knowledge and ability to take a skeleton and "set it up" and to sculpt an original model that you can then mold and use in your own studio, or market it for sale to others in the taxidermy trade. This one on one instruction is available to anyone who seriously desires to improve themselves as an artist. Classes in sculpting are available and can be set up to meet your specific needs. The sculpting classes will teach the procedure starting with a skeleton to the finished model ready for moldmaking. Instructional classes can also include altering existing forms into custom poses. HOW MANY DAYS SHOULD I PLAN FOR? Feel free to contact me and we will work with you to determine the number of days needed to meet your specific needs. However, anyone interested in scheduling an instructional class should plan for a few extra days to relax and enjoy all that this part of the country has to offer. We are located in Cody ( Northwest Wyoming), about 60 miles east of Yellowstone National Park. We also have the extremely rugged and beautiful Absaroka mountains and wilderness area for hunting and backpacking, even a roadside camping adventure! There are exceptional fly fishing opportunities as well. Depending on the time of year, wildlife viewing and photography is second to none, especially from Oct. through May for Big Horn Sheep, Elk and Deer, etc. The cost of our classes includes your room and board with us in our log home. This is a seperate bedroom/bath with a guest entrance and kitchenette. We will provide you with plenty of good food and Western hospitality! If you are interested in personal one on one classes pertaining to sculpting, please contact me via the form below or give me a call to discuss how I may be of service to you in regards to your desire and goal of becoming a more accomplished artist and successful business owner! We will try our best to work with your requested times, however scheduling is subject to available dates. Copyright 2009 Aaron Connelly Sculptor. All rights reserved.